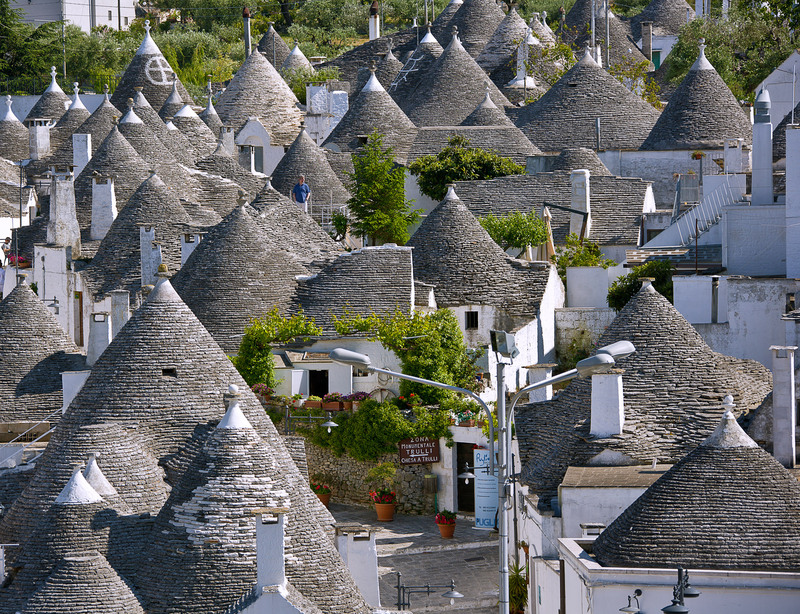 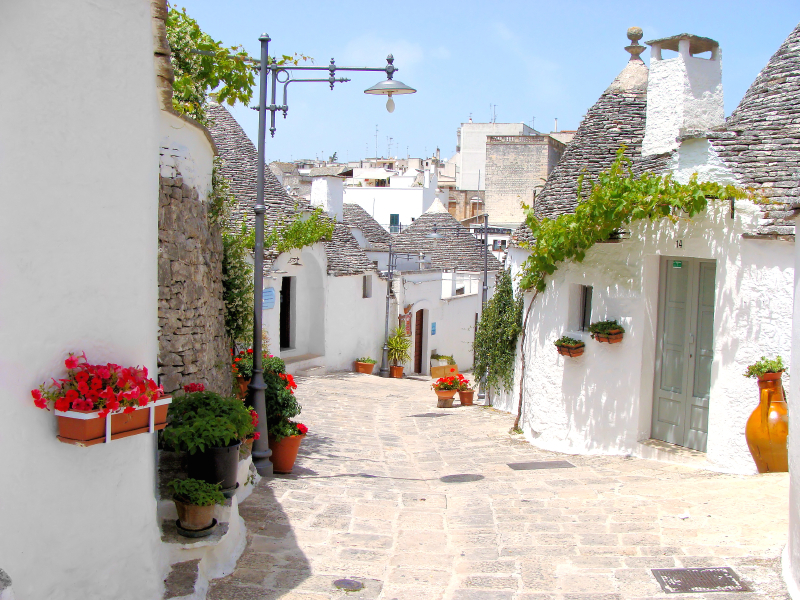 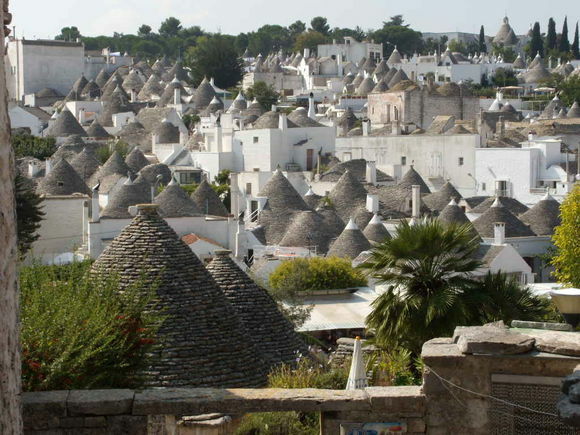 The trulli, the characteristic cone roofed houses of Alberobello, make up one of the 50 UNESCO World Heritage Sites in Italy. 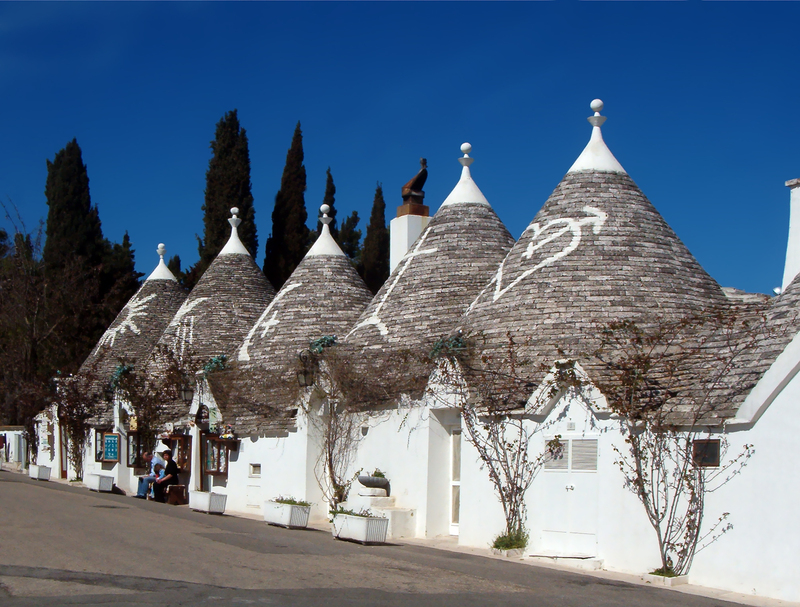 The name derives from the late Greek word for dome (τρούλος; in Italian, cupola), and refers to the ancient stone houses with conical roofs, constructed with the abundant limestone from the plateau of Apulia’s Murge zone. 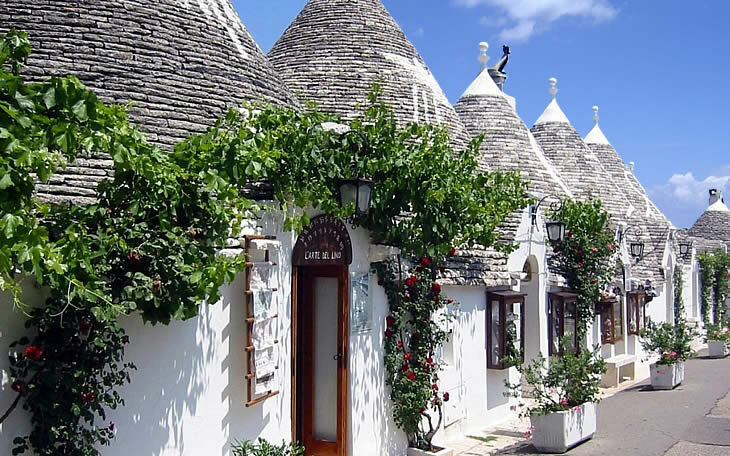 These impressive and unique structures are a genius example of architecture that is spontaneous, yet imperishable; to this day they are still used as homes. 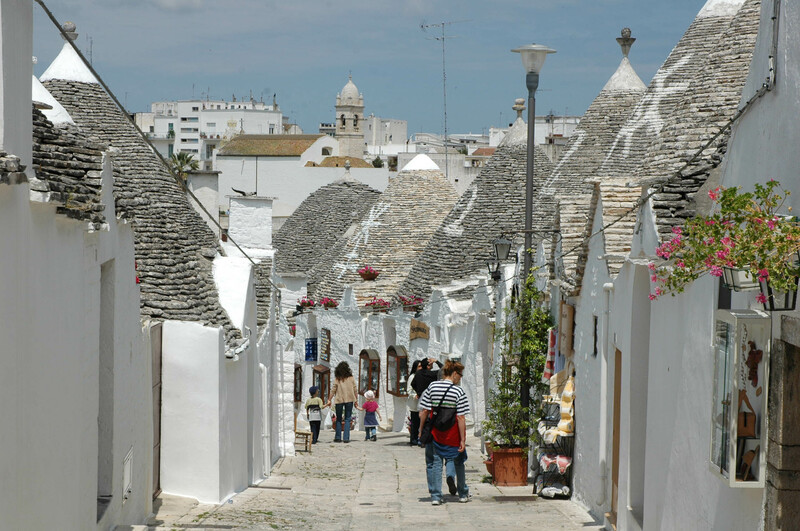 The historic center is integrally constituted by these rather particular white, pyramidal structures that make it so famous and identifiable.